In the summer of 2016, millions of people around the world will tune in to watch Olympic golf. A good number may never have watched golf on TV before and might have a pretty low opinion of a sport they think is played exclusively by rich folk on environmentally-unfriendly courses at which they’ll never be welcome. Or perhaps they will have seen golf on TV… once, the Masters, played on that amazing-looking course with the gorgeous blue ponds and luminous green grass and which is very definitely somewhere rich folk play and a club they will never see the inside of. Redgrave rightly became a household name and, in 2001, a Knight of the Realm. But do you think any of us knew what a ‘coxed pair’ was before we started watching? And who thinks we would all huddle around the TV to watch Redgrave at the British, European, or even World Rowing Championships? Apparently, he won nine World Championship and three Commonwealth Games gold medals too. But apart from people who used the term ‘coxed-pair’ in their everyday conversations, no one knew that. The point is this is the Olympics and people, non-golfing people, are going to be watching the golf. And though they will be focused on who’s winning and how their man or woman is doing, at some point they are also going to be curious about the course. If their one experience of televised golf is indeed the Masters, they are going to assume most golf courses look like Augusta National. They will expect flowers; big, ornate bunkers; ponds, creeks, and babbling brooks crossed by quaint stone bridges; and, though Augusta may not have one, probably a waterfall or fountain, or both. Those that have some knowledge of the game might also expect the course to be a Par 72, because, well, every course should be a Par 72, right? Instead, they will see something quite different. They will see a largely barren landscape with just a few stands of trees and what appear to be exposed scars of sand with untidy edges rather than elegantly-constructed and groomed bunkers. They will see a course where water may come into play on five holes, but not once after the 10th. There will be no waterfall or fountain in front of the 18th green. And, above all, the luminous green turf may not be quite so vibrant. If it’s green at all, it won’t be because it has ‘benefitted’ from millions of gallons of water and a steady supply of fertilizers, fungicides and the like, but because the course was seeded with seashore paspalum, a relatively new turfgrass able to tolerate salt-water (note, no decision on the turfgrass has been made yet, but paspalum is said to be favored at the moment). The scene will likely contradict everything non-golfers had anticipated. But the longer people watch, the more they are likely to see how challenging and entertaining this strange-looking course is. By the end of the tournament, they will have grown familiar with holes like the short par 4 16th, tiny 17th, and very reachable Par 5 18th – holes that have been designed as ‘half-pars’ – basically holes that can easily be birdied with a sensible approach and sound execution, but which will punish the ill-prepared and reckless golfer. This should yield many exciting moments as players take on shots they might otherwise leave alone, in the hope of shortening the gap between themselves and the leader. The less than devoted golf crowd will be further surprised, not to say impressed, as TV analysts make repeated remarks about the sustainability of the course, what little impact it has had on the environment (actually, it will enhance the environment as it will likely attract wildlife that wasn’t there before), and how it will be used as a public facility, aimed at growing the game in Brazil, once the Olympics have packed up and left. Thank goodness then that Gil Hanse will build it. The Pennsylvania-based architect, who has a small but very impressive portfolio of completed courses including Castle Stuart, Boston GC, and Rustic Canyon, will relocate to Rio and break ground in October. Assuming everything goes according to plan, the course, which will be built at Reserva de Marapendi in the Barra da Tijuca district where many of the Games’ other events will be staged, should be ready for play by the middle of 2014 and hold a couple of stage rehearsals in 2015. Few could have predicted Hanse’s inclusion among the final eight contenders for the job, named in December last year. That he should then be chosen, on Wednesday, ahead of Jack Nicklaus/Annika Sorenstam, Greg Norman/ Lorena Ochoa, Gary Player, Peter Thomson and the rest came as a shock to many. Most people (including me) who watched the process unfold had supposed one of the former star players would get the nod, not because they were any more qualified to build the course but because their involvement would probably guarantee the project extra cachet and prestige. Hanse was the seventh best-known of the final octet. Actually, given Martin Hawtree’s involvement at Trump International Golf Links in Aberdeen, Scotland, Hanse may well have been eighth. Besides Hawtree and the former players, the list included Tom Doak and Robert Trent Jones Jr., architects whose names and work are much more familiar to golfers around the world than Hanse’s. Of the non-players, Doak’s case was thought to be strongest thanks to a seemingly ever-expanding list of world top-100 courses – courses that not only enthrall golfers but which were built, and are maintained, at a fraction of the cost of most other high-end courses. So, why Hanse? Why, when the selection panel - comprised of Peter Dawson (president of the International Golf Federation; Carlos Arthur Nuzman (president of Rio 2016; Augusto Ivan (adviser to the president of the Municipal Olympic Company; and Arminio Fraga (member of the Rio 2016 Golf Advisory Committee) - could have gone for a higher profile, more credible (at least in the public’s eyes) architect, did it plump for Hanse? 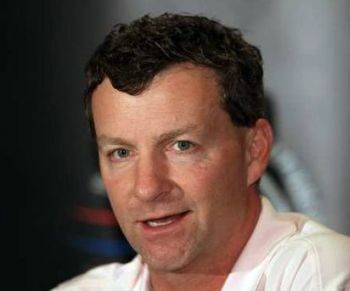 Some have suggested Hanse received the anti-player vote (not anti-Player vote) and that, because of his non-celebrity status and quiet, easy-going manner, he could be trusted not to attract more attention than the actual golf tournament. It’s possible there’s some truth in that. But could it be Hanse did, in fact, submit the best proposal? Was his course better than everyone else’s? Probably not. It looks absolutely fantastic, on paper at least, but it’s unlikely his course was markedly better than that put forward by Doak, for instance. I think Hanse might have achieved a little separation by offering the complete package, or a slightly more complete package than everyone else’s anyway. Not only did he bring plans for an intriguing-looking golf course to the table, he also bought the backing of former USGA executive director David Fay and the PGA Tour’s Design Services Inc., a separate entity from the Tour that was established in 1988 and which, Geoff Shackelford says, consulted for the selection panel and Rio Organizing Committee. Dawson was also a big fan having played Castle Stuart which Hanse designed with the course’s owner Mark Parsinen. 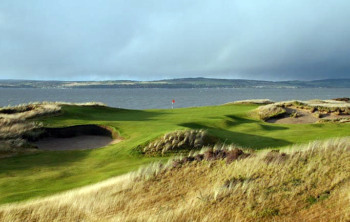 The course hosted last year’s Scottish Open and will again this year. It debuted at No. 56 on GOLF Magazine’s list of the world’s top 100 courses in 2009, and Golf Digest’s Ron Whitten said it might be the ‘most perfectly conceived and executed design ever built’. In Brazil, Hanse will be working alongside Amy Alcott, a very highly-respected player and ambassador for the sport; a multi-talented design partner in Jim Wagner; and, perhaps crucially, the Larkin Group, a collection of sustainable-golf advocates that works to create viable golf facilities that are an ‘integral component of the community’ in which they are located, and provide ‘recreational opportunities as well as economic and environmental benefits’. And he’ll seek input from the beaten finalists too – not a move you’d expect any of the others to have made, but a very respectful and intelligent one given the likelihood that the seven other teams came up with a few decent ideas of their own. I think it remarkable that, since the announcement of Hanse’s appointment was made, I’ve not read or heard a single negative comment, or seen anyone questioning the decision. We shouldn’t get carried away perhaps, not before the first bulldozer starts shaping the first bunker, but we can be confident Hanse will build a memorable golf course that encourages aggressive, exciting golf which, in turn, might spur a substantial, global increase in the game’s popularity. Really, it can’t come soon enough.